In 1996, Pam’s dream to create a company that provides families and individuals hope and healing came to fruition. Pam has a passion for helping others and has dedicated her life to assisting individuals and families in crisis. 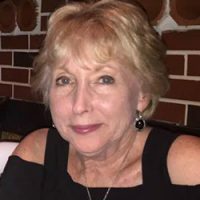 A Registered Nurse since 1977, Pam’s professional experience includes aging health concerns, addiction in people of all ages, traumatic and other acquired brain injuries, and mental health issues. Pam is also a trained interventionist and works with compassion and understanding to help families in crisis. 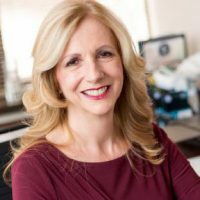 Pam’s professional experience, coupled with her personal journey, provides a unique and powerful combination. Pam is 100% committed to connecting with families and loved ones and providing personalized care. She has a heart for those in need and advocates for her clients with integrity and respect. In 1978, Agnes received her Bachelors of Science in Nursing from Oakland University and became a registered nurse. She began her career in OB-GYN in both a hospital and office setting. She worked in prenatal care instructing new mothers and ensuring the safety and well-being of the family through delivery to postpartum care. Using her medical knowledge and experience obtained from her OB-GYN career, she then owned and operated an in-home licensed daycare facility where she ran a successful pre-kindergarten program for over twenty years. Most recently, she held the title of Director of Nursing at an assisted living facility specializing in geriatric and dementia residents. She spent nine years facilitating and implementing safety measures to ensure the well-being of all residents. She found the experience to be an “honor,” to have the opportunity to work with the aging population. She is excited to bring her extensive expertise to the Bridgeway team. 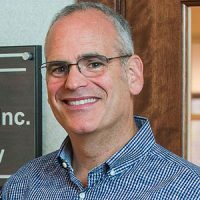 “I joined Bridgeway because of their outstanding reputation. I look forward to working with the team in order to put my geriatric medical experience to use.” Agnes has been married for over 35 years and has two wonderful daughters and son-in-law, and “my perfect dog.” She loves spending time with her family, “whether we are having barbecues, traveling, or getting together to watch our favorite television shows.” She also has many wonderful friends in her life and loves their weekly canasta games. 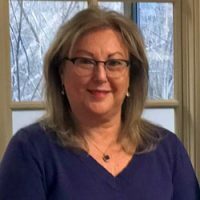 Karen Gordon Rosenberg joins the Bridgeway team after years as a specialist in gerontology, and most recently, as Creative Producer for a local public relations firm. 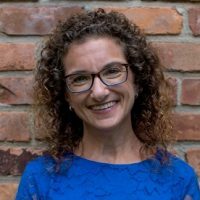 With a Master’s Degree in Social Work from the University of Michigan, Karen’s career has focused on the Detroit Jewish community, working with older adults and collaborating with professional and lay leaders in the community. Working in a congregate housing for older adults, Karen focused on achieving maximum well-being for residents while enabling them to age in place independently. This included helping families cope with the stress of caregiving for their aging loved ones. While addressing the needs of multigenerational families, Karen developed a depth and breadth of knowledge of valuable resources in the community. Helping people thrive by connecting them to the appropriate support systems continues to fulfill Karen both personally and professionally. Karen is devoted to her family, taking an active role in the lives of her four growing children. She takes pride in her volunteer work as a parent at school, an active member of her synagogue, and an advocate for her neighborhood. Commitment to her daily yoga practice helps her to maintain balance while nourishing body and mind. Erica graduated from Central Michigan University with a MSA in Health Services Administration. She is also a Registered Nurse and has a BA in Public Health. 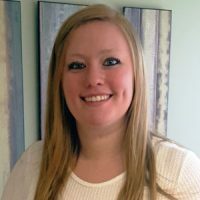 Erica has years of experience working in the healthcare field as a Home Health Care Case Manager, a Health Educator, and a Health Screener. She was thrilled to join the Bridgeway team because she enjoys working with the geriatric population and is very compassionate about helping others and being an advocate for their health and wellbeing. In Erica’s free time, she enjoys spending time with her family, exercising, reading, and volunteering in her community. Roseline graduated from the University of Detroit Mercy with a Bachelor of Science in Nursing degree. She is a Registered Nurse with years of experience working in the healthcare field. While in nursing school, Roseline worked as a caregiver, and couldn’t be happier to continue her service as a Nurse Care Manager. She joined the Bridgeway team to fulfill her passion for being of service to her community through the improvement of health outcomes and delivery of quality care. When she’s not working, Roseline enjoys reading, sewing, dogsitting, and being of service to those in need. Rachel graduated from Michigan State University with a Bachelor of Science in Social Science and Health Studies in 2010. She also is a licensed esthetician and certified nursing assistant. 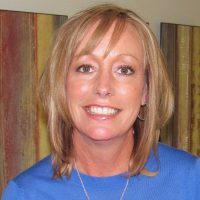 She has worked as an Executive Administrative Assistant and Patient Care Coordinator, where she took on many roles assisting with patients, as well as running and maintaining the front office. “I have such strong compassion and dedication for helping people, which is why I chose to pursue an education and career in the healthcare field. 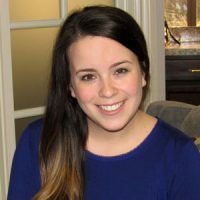 After learning what Bridgeway provides for clients and families in need, I couldn’t be more excited to be a part of such an admirable team of individuals and be able to assist in making a difference in so many people’s lives.” In her free time, Rachel enjoys spending time with her family and friends and cooking. Shaina is a Certified Phlebotomist and has worked in the medical field for the past 2 years. Shaina joined Bridgeway in order to make a difference in someone’s life on a daily basis. “I love getting to know new people and learning their stories. I’ve experienced both sides of being a caregiver through caring for a family member, and caring for someone professionally, and I am very passionated about it.” In Shaina’s freetimeshe enjoys spending time with her nieces, spending time outdoors, and hanging out with her friends.